Home page > Contact and Maps. The Condorcet building is close to the Seine river and has a distinct orange-brown color. From subway line 14, RER C or bus 89 (arrêt "Bibliothèque François Mitterrand") go to the Seine by walking downhill, then turn right. 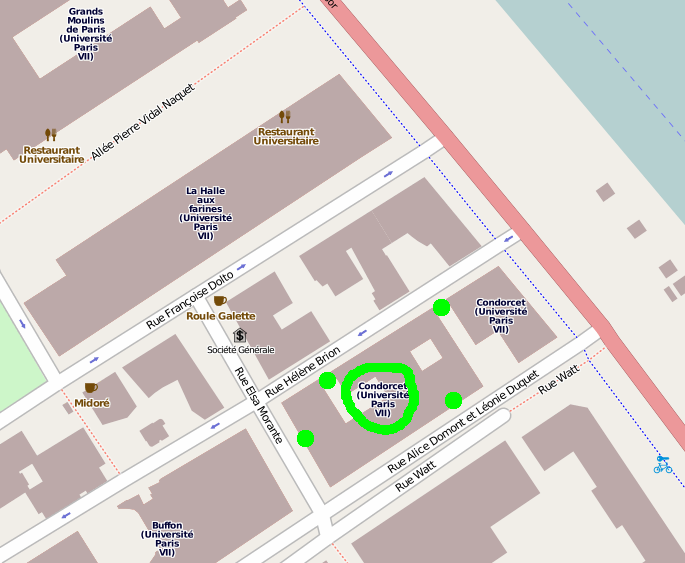 On the maps below, green dots label the building entrances. Caution: these streets are new. 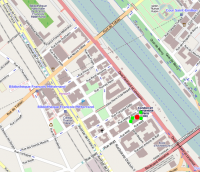 Some commercial maps or GPS systems have not yet incorporated them. 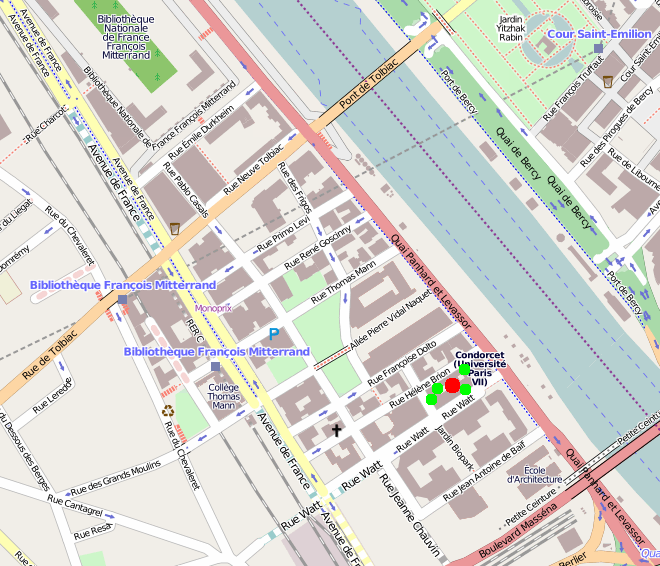 Watt street, which is almost identical to Alice Domon and Léonie Duquet, is normally always indicated. Caution again: this building is subdivided into two subunits, Condorcet A and Condorcet B, which are connected only at the ground floor (as well as a footbridge at 4th floor and another one at 6th floor). For more detail, interactive map on OpenStreetMap.org.